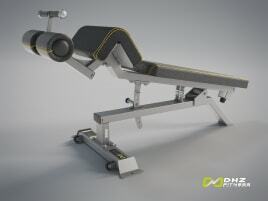 What is an abdominal bench and how does the training on it work? This exercise machine trains the abdominal muscles. For an effective training it is advisable to get instructed by a professional fitness trainer first to avoid injuries and learn how to train every single abdominal muscle. 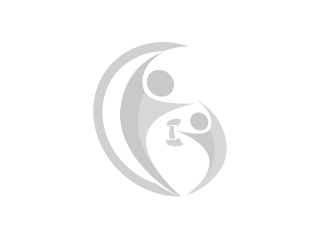 They can be found in every gym and enable the training person to do different kinds of crunches on a base which is easy on the back. There are various kinds of new and used abdominal benches, but professional gym machines normally have a special high-quality padding. 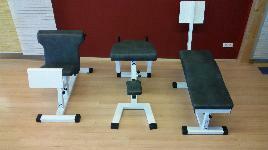 Many training benches can be inclined to adjust the bench individually. 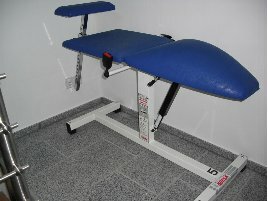 Many training benches are also foldable which advantageous because they can be transported easily and used at any time. They can be loaded up to 120kg. 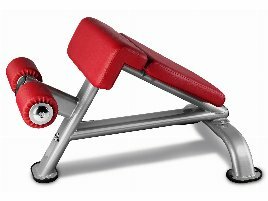 It doesn’t have to be a new training machine necessarily, because buying a used high-quality bench is a good alternative, especially for home training. It is recommended to get advised before using the gym machine by an expert of fitness trainer who can show you the most effective exercises that strain all abdominal muscles. Like with any other workout, a good warming up is very important to avoid injuries. 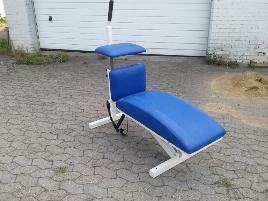 If you have decided to buy a used abdominal bench, then you are right on fitnessmarkt.com! 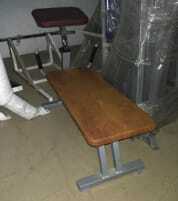 Just choose your favorite exercise equipment and contact the seller. Are you opening a gym? Also in this case used high-quality gym machines are as good as new equipment. As the financial situation for founders of a new business is not always easy, used gym equipment can be a good alternative. Are you closing down a gym and want to sell used gym equipment? 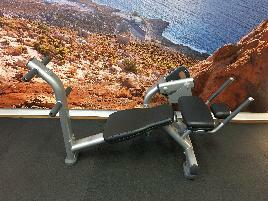 On fitnessmarkt.com you have the opportunity to insert new or used abdominal benches. 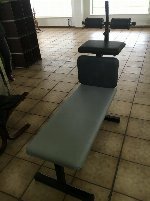 A detailed description as well as some pictures of the new or used abdominal bench are recommendable so the prospective buyer has the most important information just at a glance.